Treat yourself to the pleasure of a moisturizing lotion with sensual fragrance, enriched with organic, free-trade Shea butter and Bourbon Vanilla. It's creamy and non-oily texture melts on the skin and leaves it soft and delicately perfumed. Explore the entire range of Lotions & Creams available on Nykaa. 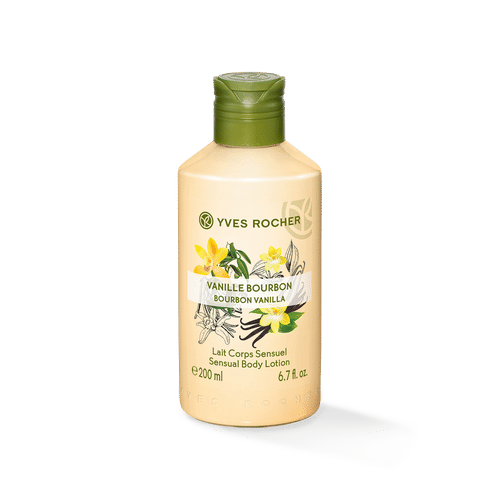 Shop more Yves Rocher products here.You can browse through the complete world of Yves Rocher Lotions & Creams .Alternatively, you can also find many more products from the Yves Rocher Sensual Body Lotion - Bourbon Vanilla range.